I haven't blogged in many a week as I was taking a class on blogging. There were several things with the site that weren't working for me, and then I wanted to do some design work and spiff it up before I sent it out again! You'll have to let me know what you think of the changes. The postings are still here, duh, it should look better. Different. Hopefully, it all works together in a much better fashion and such that you'll want to look at it several times each day!!! How many times do you say, "Gee, what am I going to do on my coffee break?" Ta-da! You see, I headed off to blog land on my own. I got pointed towards blogging by someone who told me that I should be writing, that blogs were a good way to go, sometimes free, and they steered me to this blog site. That all started in July. And it worked for me, until I thought it could be more. In October, I decided that I didn't know enough about it, so I signed up for a class. Wish I had taken it before I started blogging, but nonetheless it's proved invaluable. One learns so much when we take a class. It's almost like studying anatomy before you operate on someone! The first thing I learned is that when the transformer blows in front of the school, the power is cut off and classes can't be held. That put the schedule back a week and I went home disappointed, but still looking forward to class the following week. What I learned the following week is that you can add an information link. Here's one about "why transformers blow." On the way home, I swung into McDonalds for a milk shake...that's my reward for going to school. I know, I didn't have a class, but I intended to take the class...they canceled it, not me. I prefer vanilla. Vanilla ice cream, vanilla milkshakes, vanilla cookies...all good. Using my new skills, I add here a recipe on how to make a vanilla milkshake. I know it says chocolate in the url, but trust me it's vanilla. I then heard from someone in the class that they are tearing down the McDonalds in Kingston and building a new one that won't be open until next Spring. So, either I have to get that milkshake recipe going and stock up or I can't take another class until the new building is up! I couldn't find the article on the web about the rebuild, but include here McDonalds url so you can check them out (see, I was paying attention in class) and see what they offer besides milkshakes. 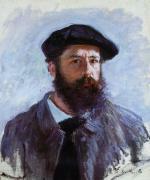 We learned how to add links to site about things that interest us, as in my admiration for the works of the Impressionist artist Claude Monet. Then we got to the money shot...the part about making money! I'm still working on that part, and you'll know when it takes hold, but I am enjoying the writing while I figure that out. And, in the meantime, you might start saving! Anyway, I think I'm done with this reconstruction part (you'll let me know of changes you'd like to see) and I'm off and writing again. Look for additions as we go along. By the way, it only took four weeks to come up with a new title. After the instructor told me my title was, "Boring," "Doesn't have anything to do with what you're writing about," "It should say something about a main topic," I began driving my wife, sons, brother, sister-in-law, and several friends crazy, asking them every day, "What do you think of this for a blog title?" I got Blog Block, as a result. They got blogged-down...I finally came up with "Sidewalk Envy." All I talk about is moving to be near a sidewalk so I can walk places, instead of driving an hour each time we want a quart of milk, and much that I do centers around me being somewhere else, with my art, travel, and family adventures. Just before I picked this title, I do think that all of those people I was driving crazy talked to each other and said, "Whatever he comes up with next, just say great! We'll be done with it!!!" I do have a list of several hundred titles I'll share with you sometime soon. Perhaps I'll start a list blog and attach an url for you to check them out!!! Well, probably not. But, if you're in the market for a blog title, check with me first. I probably have it written down here at the house and everyone here will be happy not to hear it again! Hmmm...one my family and friends might write, as they put up with me..."Stop the blog, I want to get off!" thinks your site looks GREAT! Go be envious and conquer! This site looks fabulous! I love it!